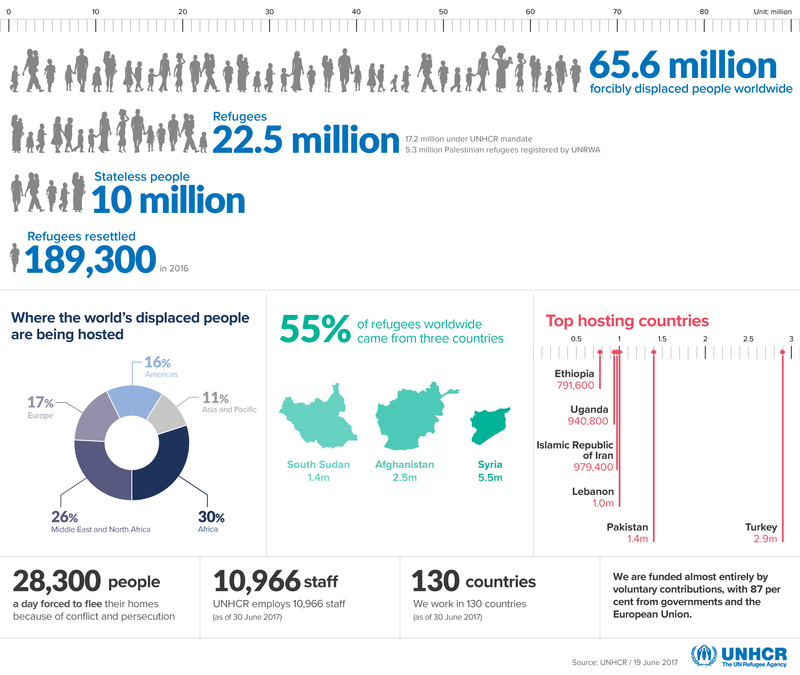 Sixty-five million people have been forced to flee their homes globally. Syria enters its seventh year of fighting in 2018. Hunger and disease will affect millions of people in Somalia, South Sudan and Yemen. Around the world people will flee conflict only to become trapped in misery, as seen in Libya. People will suffer from immediate and long-term effects of conflict and violence, as I witnessed in Central African Republic earlier this month. While attending the World Economic Forum's Annual Meeting in Davos, I will remind global leaders of the need to assist and protect civilians trapped in war zones. If we don’t, the result will be global instability, major breakdowns of social and economic systems, and a failure to achieve the SDGs. As technological and financial advances transform the ground the International Committee of the Red Cross (ICRC) works on, we believe these seven key issues will shape the humanitarian agenda in 2018. The international community’s efforts and successes in addressing conflict will be critical in shaping the political agenda and the humanitarian response in 2018. Success will become a template for future action, while failure will compel alternative solutions. Will safe zones in Syria succeed? Will medical deliveries into Yemen resume? Will people be able to return to Rakhine State? Will long-running, low-intensity conflicts be so neglected that they boil over and trigger mass displacement and epidemics? The international community must offer a fresh perspective for peace – in high-profile and neglected conflicts. The ICRC works to maintain basic services people need to survive. But in 2018 and beyond, we need more determined efforts toward the peaceful resolution of conflict. Fifty million people are bearing the brunt of war in cities around the world. Reconstruction is a vast challenge in populated locations but it must start as soon as possible, even in the midst of fighting. Reconstruction goes beyond rebuilding streets and houses to include water, sewer and electrical systems. Economic activity can help repair war-torn societies, but if it’s not conducted responsibly it can also create or prolong violence. Companies and international organisations must help strengthen communities and overcome the trauma of violence. In protracted conflicts we work on a dual timeline, conducting urgent relief and looking towards the 2030 horizon of long-term needs. Unfortunately, the current humanitarian financing model doesn’t support this vital approach. Conflicts are not temporary interruptions, they are structural, socio-economic catastrophes, and funding must be allocated accordingly. In addition to the States Parties to the Geneva Conventions, a new wave of social investors can stimulate fragile or conflict-affected economies. Last year the ICRC launched the world’s first-ever Humanitarian Impact Bond, which raised $26 million for new physical rehabilitation centres in Nigeria, Mali and the Democratic Republic of Congo. In 2018, the ICRC is ready to increase such partnerships. We see violations of international humanitarian law (IHL) on the news every day. But the fact that IHL has changed wartime behavior over the decades is drastically under-reported. IHL has motivated actors in conflict to refrain from ill-treating detainees, from using chemical, biological or nuclear weapons, from using land mines and from attacking civilians. IHL is constantly evolving as conflict evolves, but it remains true to the same core principle – protecting humanity through the law. In fragmented conflict environments and while fighting terrorism, the international community must safeguard IHL against arguments it is not applicable or can be traded off in political deals. In 2018 we must strengthen consensus around the law as a stabilising force. Sixty-five million people have been forced to flee their homes globally, including over 40 million in their own countries, people often neglected and unable to access aid. In 2018, as the international community negotiates a new global compact on migration and refugees, we call on states to ensure that asylum and migration policies are aligned with international obligations and to respond to the humanitarian needs of those fleeing violence inside their own borders. New technologies are rapidly giving rise to unprecedented methods of warfare. Innovations that yesterday were science fiction could cause catastrophe tomorrow, including nanotechnologies, combat robots, and laser weapons. Cyber attacks are a looming challenge. Think of the humanitarian consequences of air traffic control systems, oil pipeline systems, or nuclear plants being hacked. The ICRC is urging governments and companies to deal with the humanitarian impact of conflict in the virtual world, and to address critical questions: what's a security incident vs. an act of war? How does proportionality apply? How can virtual attacks distinguish between civilian objects and military objectives? The fundamental rules of IHL apply to cyber warfare and other new technologies, but we must also consider stronger, more tailor-made rules to protect civilians from conflict’s future frontlines. The Fourth Industrial Revolution does not just entail risks; it also brings solutions to humanitarian problems. For example, the ICRC is partnering with Microsoft to use facial recognition technology to help reunite families separated by conflict, and ABB has constructed a solar grid for our Nairobi warehouse. Big data and better contextual analysis have the potential to transform how ICRC responds and anticipates humanitarian crises. Secure digital identities could allow refugees who have lost their ID papers to access services more quickly. In 2018 we want to see technological advances play a bigger part in empowering people affected by conflict. These are the key issues I will be working on this year. However, progress depends on an increased commitment from states and other stakeholders on minimum standards of humanity, and broad agreement for neutral, impartial, independent, humanitarian action. Through its 155-year history, the ICRC has learned that principled, law-based humanitarian work, carried out with the consensus of all key stakeholders, is the best starting point in coping with fragmentation and building better futures for all. This article was originally published in Devex.